The fruitful mission to the University of Limoges in February allowed strengthening the relations between our universities and particularly enhancing academic mobility. The number of French students coming to our laboratories is increasing with every year. From a wide range of possible placements offered by their University, they choose TUSUR because of the high quality of our education. Two of them, Thomas Maitre and Maxime Devilleger, have already arrived on March 10 to participate in research coordinated by Dr. Roman Mescheryakov (Department of Complex Information Security of Computer Systems). This research project will focus on collecting and analyzing data in order to develop a new device for persons with hearing problems. 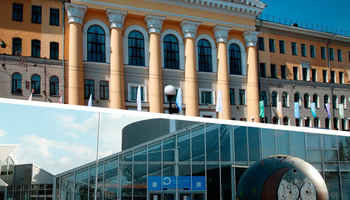 In Limoges they studied the practical aspects of developing home automation for disabled people, while in Tomsk they will have an opportunity to apply their knowledge. Thomas and Maxime will spend 4 months working on the joint Russian-French project, initiated by their French predecessors in 2008. 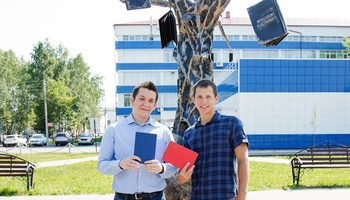 In June their French tutor Laurent Billonnet will also come to Tomsk in order to assist in their project defense. 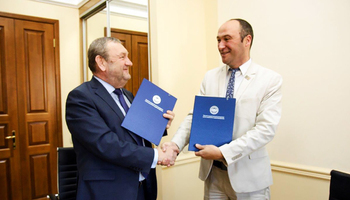 The third student from the same university Antoine Deleplanque is expected to arrive in the beginning of April and will conduct his research under the supervision of Dr. Leonid Babak (Department of Computer Control and Design Systems). In April the French students will prepare a traditional presentation and will talk about their university, their research and campus life in Limoges. Academic mobility with the University of Limoges is parity-based. At the moment a student of the Faculty of Human Sciences Kristina Bilchich is undergoing her internship at IUT of Limousin, one of Departments of the University of Limoges. 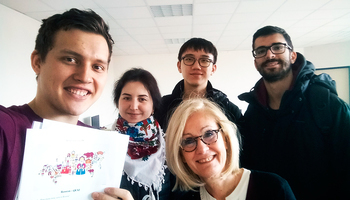 This cooperation will be further extended, when three TUSUR students are admitted for their Master Studies in Limoges.